As a well known symbol of the Chesapeake region the blue crab is important to Maryland both as a natural resource and tourism icon. In addition to supporting a major commercial fishery, the blue crab is a valuable recreational species as well. 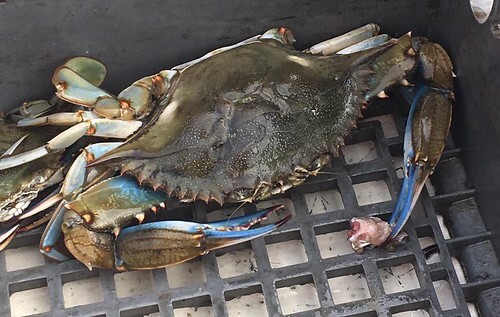 For all of these reasons Maryland Department of Natural Resources and partner organization Viginia Institute of Marine Science monitors the blue crab population in the Chesapeake Bay and its tributaries using surveys such as the Winter Dredge and the Summer Trawl surveys. With the information from these surveys crab stocks can be manag​ed and protected for future generations.